Unlike many other child care centers, WPCC is a 501(c)(3) non-profit. We depend on generous donors to help us serve as many families as possible. Your contributions to WPCC are tax deductible. But more importantly, with your investment, you will help WPCC further its mission to provide quality education for children of all abilities and diverse backgrounds. Contributions of all sizes are appreciated and truly make a difference! ** Don’t have a PayPal account? You can also use your debit or credit card to donate. Click ‘DONATE’ below and then click ‘CONTINUE’ toward the bottom left of your screen. An easy way to support WPCC is through your everyday shopping! We have teamed up with Harris Teeter’s Together In Education program, Kroger’s Community Rewards, and Amazon Smile. -Simply link your Harris Teeter VIC card online or in a store to our school number: 1372. Use your linked VIC card each time you shop and you’ll help support WPCC! Don’t forget to ask your family and friends to link, too! White Plains Children’s Center. After you have chosen our center, you are ready to shop! 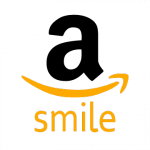 Amazon Smile will donate 0.5% of your total purchase to our center! Don’t forget to ask your family and friends to find us on Amazon Smile, too! -Link your Kroger Plus card online or in a store to our school number: 89252. Use your linked Kroger Plus card each time you shop and you’ll help support WPCC! Don’t forget to ask your family and friends to link, too! Volunteers are important to the improvement of any non-profit. At WPCC we welcome volunteers from our families and from the community. Opportunities vary throughout the year. Another way to volunteer your time and talents is to become a member on our Board of Directors. WPCC has a very active, diverse and supportive Board. Please visit the Governance Page to learn how you can get involved through the Board. To find out how you or your business can serve WPCC, please contact the center.